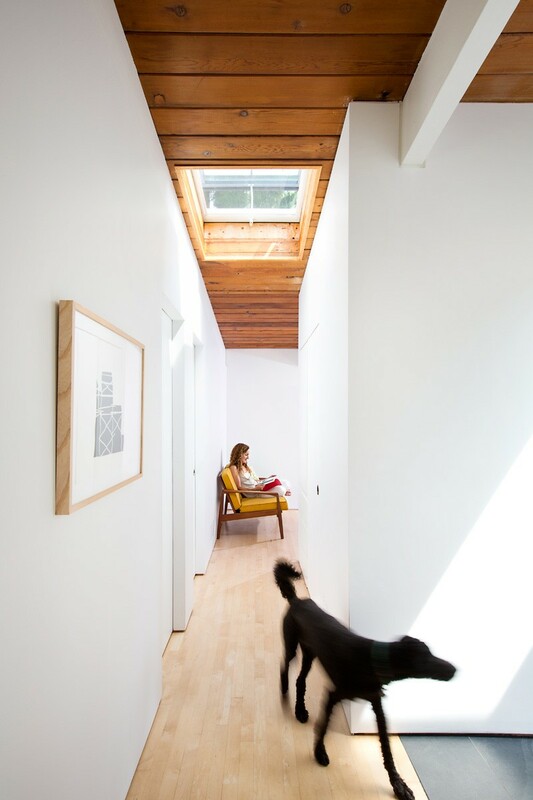 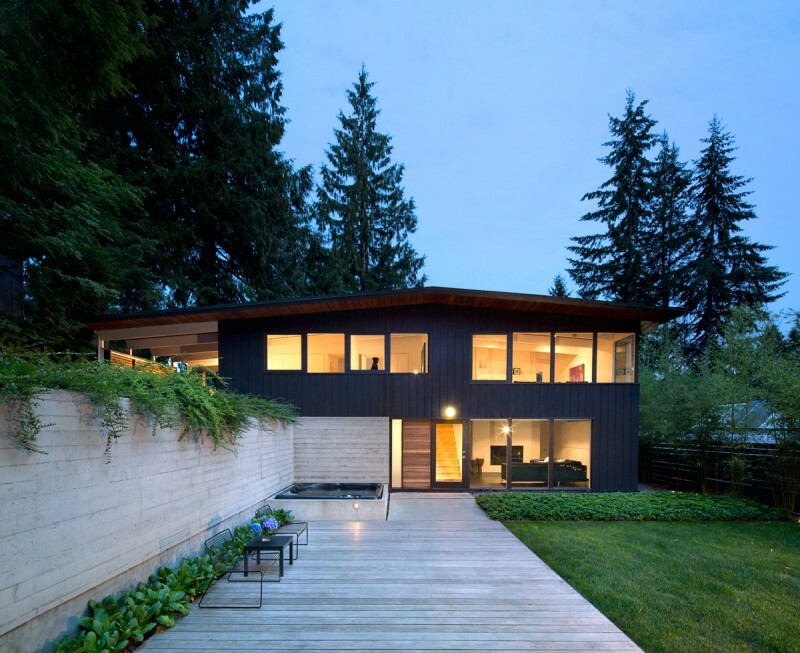 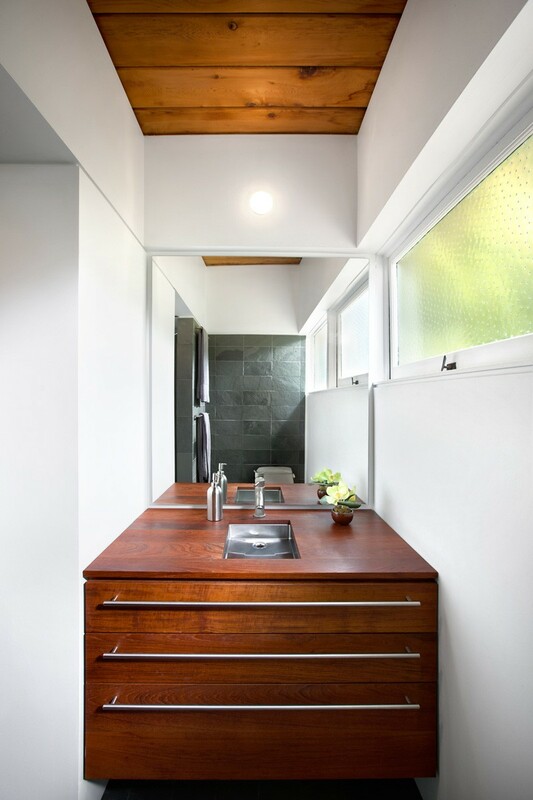 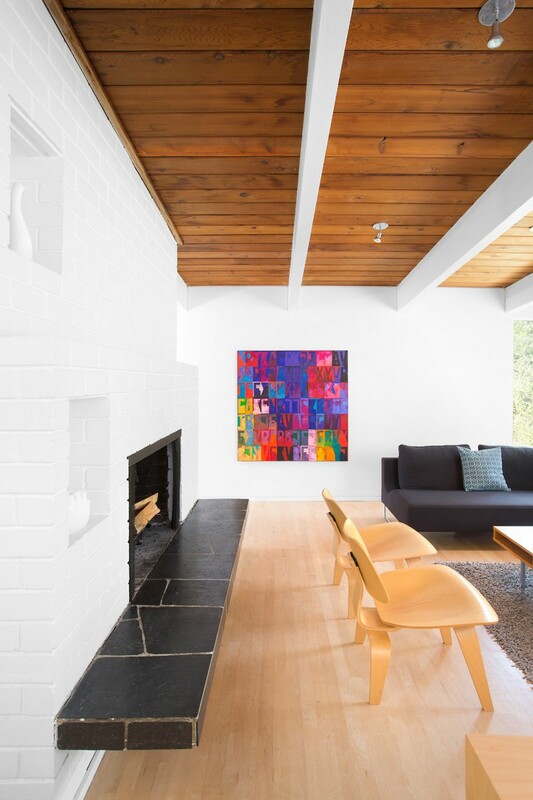 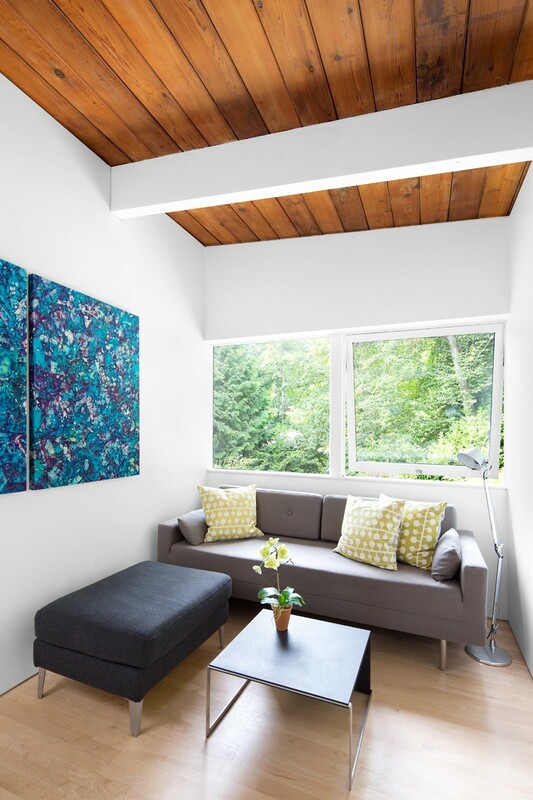 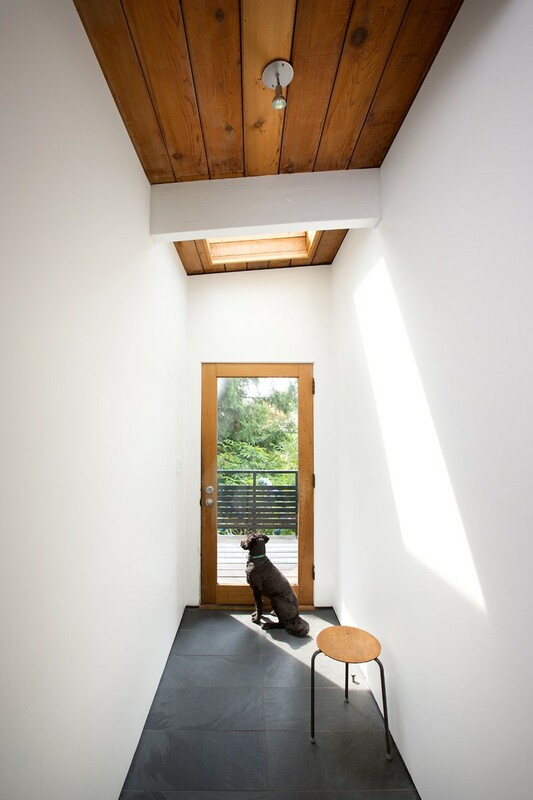 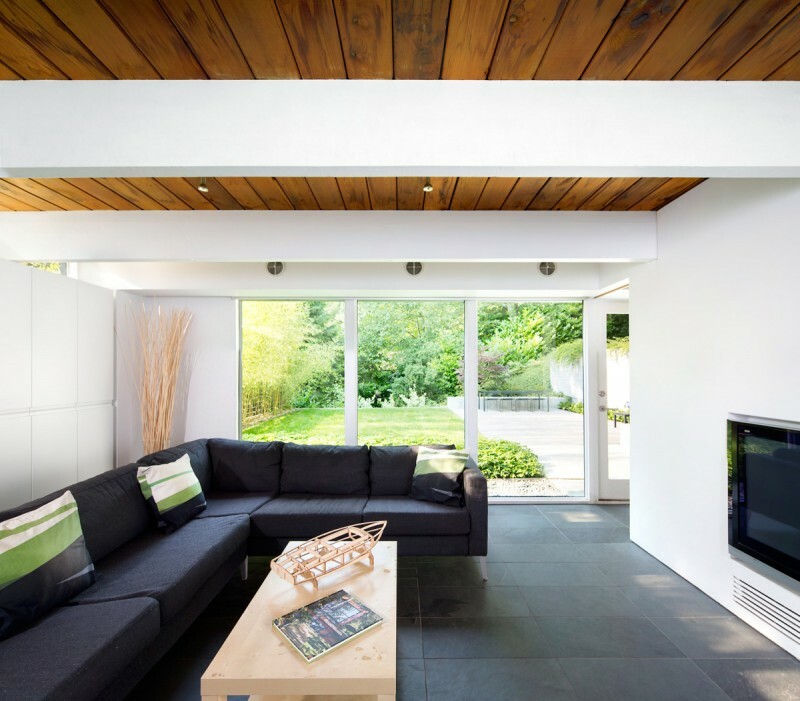 Architecture firm OMB designed the renovation of the Canyon House, a 1950s family home in Vancouver, Canada. 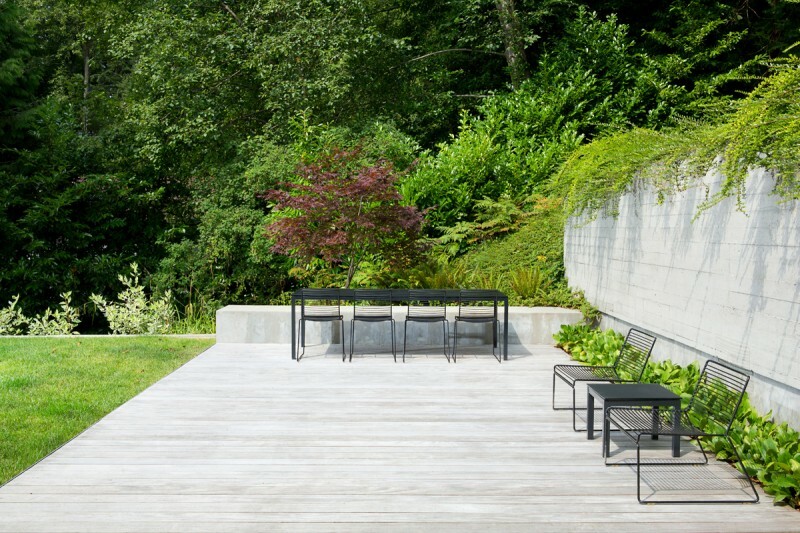 Anchored to a sloping wooded ravine site that backs onto Mackay Creek in North Vancouver, McFarlane admired the architectural clarity of the building and its exceptional ravine setting. 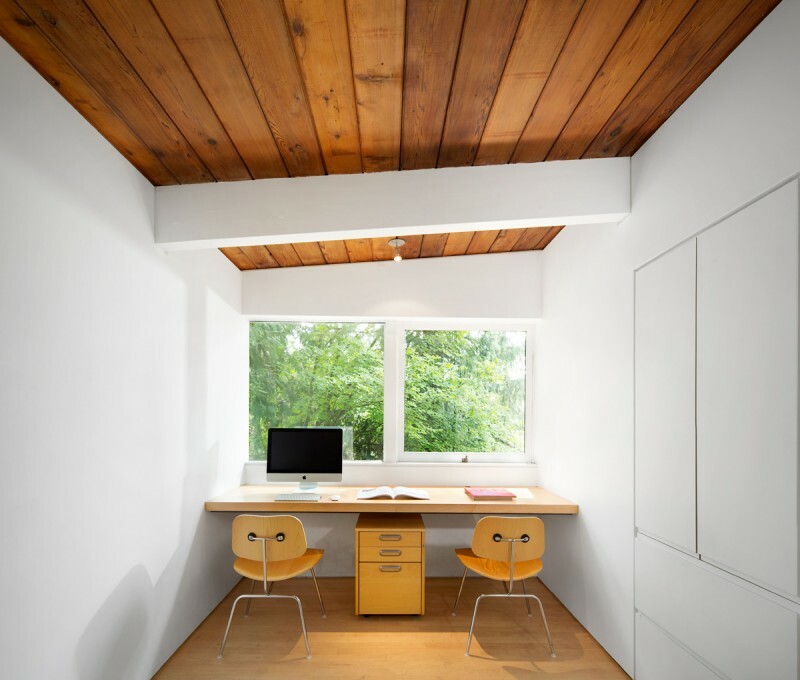 The surprisingly simple renovation does not increase the 1800 sq.Ft. 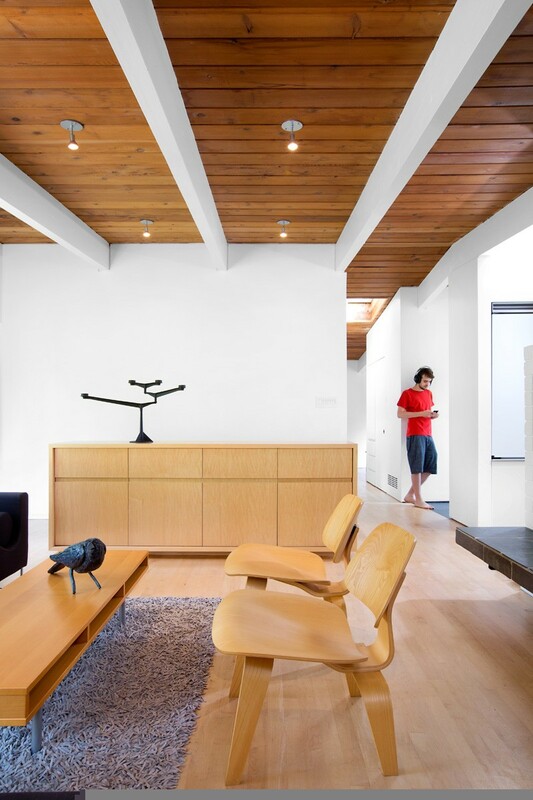 Footprint of the house or clash with the modernist feeling of the home. 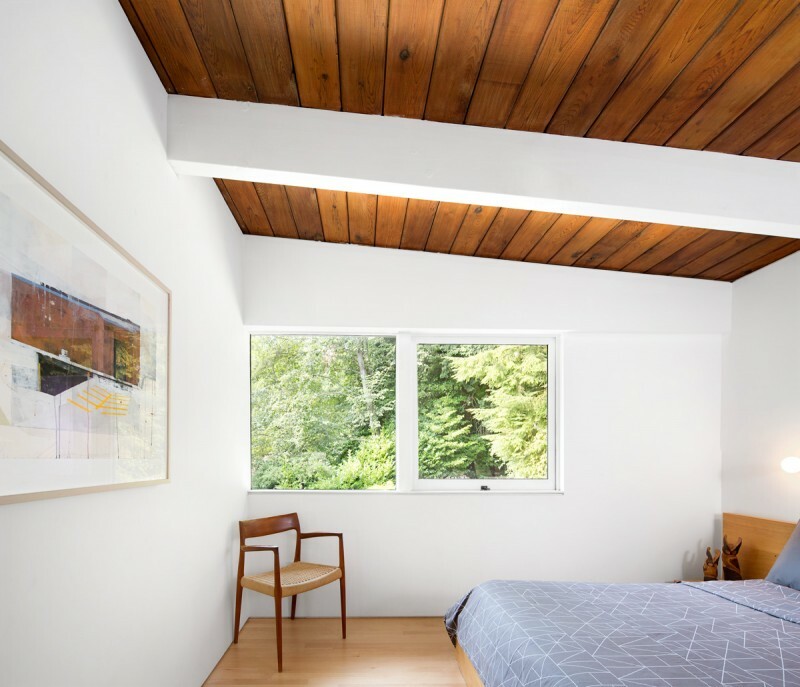 Instead it protects the midcentury modern charm of the house while increasing its flow, natural light, connections to the outdoors, and its energy performance. 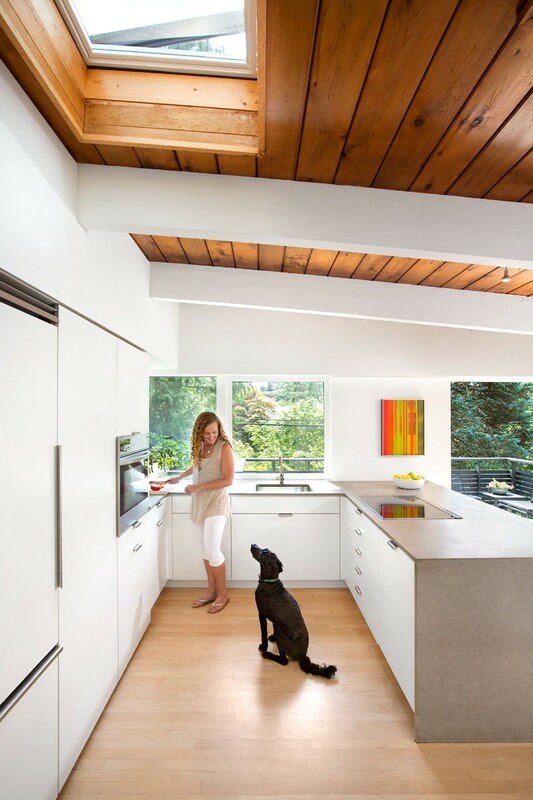 The new eat-in kitchen, large family room, home office and bedrooms celebrate the simple and attractive framing systems adaptability, material integrity and solid craftsmanship while opening the interiors to the surrounding greenery with easy flow and natural light. 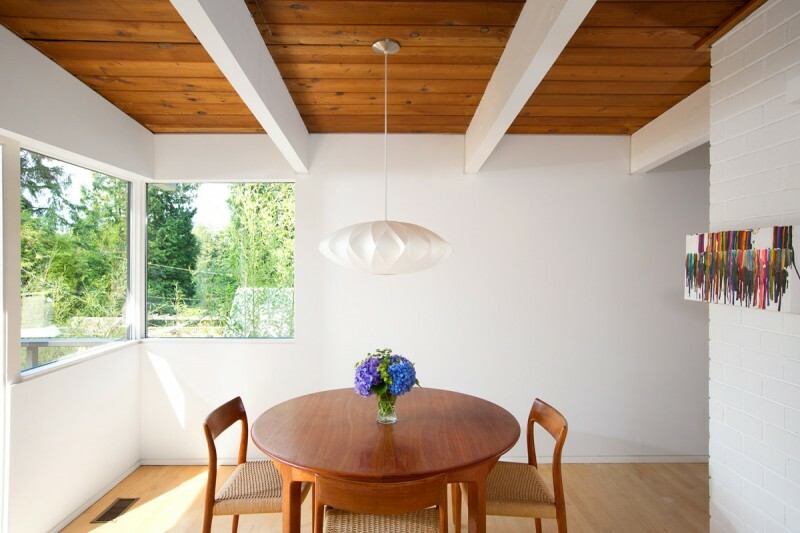 The openness, simplicity and visual warmth of the home celebrate its mid-century modern character, while demonstrating the adaptability of post and beam architecture to meet the needs of contemporary lifestyles. 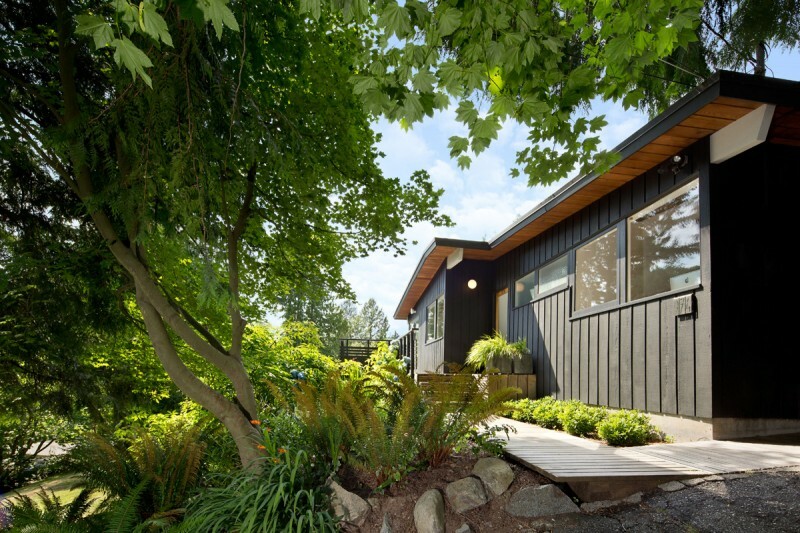 Tell your friends about "Canyon House"